In the book “Everyday Saints” there is a section about a monastery in Russia which had fallen into moral decay. This was not long ago, by the way. It all happened only a century ago. These monks, not unlike the Prodigal son, had taken the divine inheritance from their heavenly Father, and spent it on self-gratifying, passionate and worldly things. The monastery had earned a very bad reputation in the surrounding area. It was said that its monks were all idlers and drunkards. 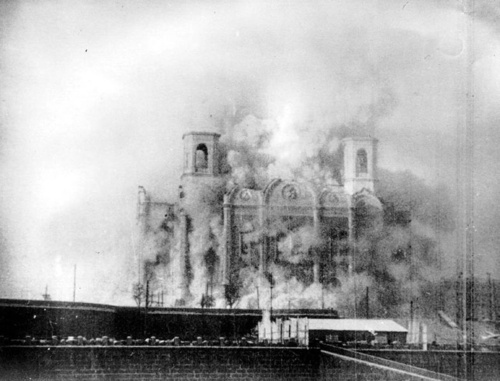 During the Civil War [in Russia] the Bolsheviks arrived in the town that was closest to the monastery. They gathered together its inhabitants in the market square, and then they dragged the monastery’s monks out in a convoy. And not a single one of those monks budged. That very day all their heads were chopped off by the sabers of the Bolsheviks.